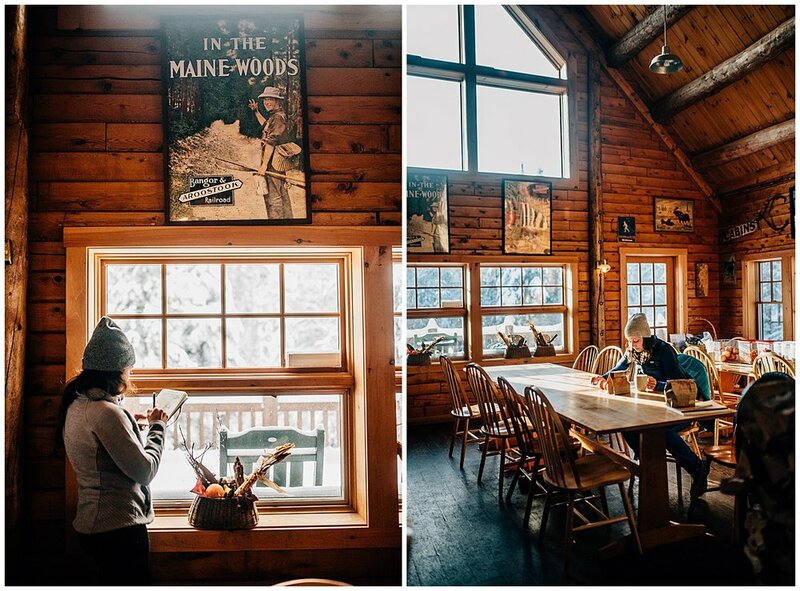 This winter, we were so fortunate to partner again with Allagash Brewing Company on another Appalachian Mountain Club "Lodge to Lodge” retreat! 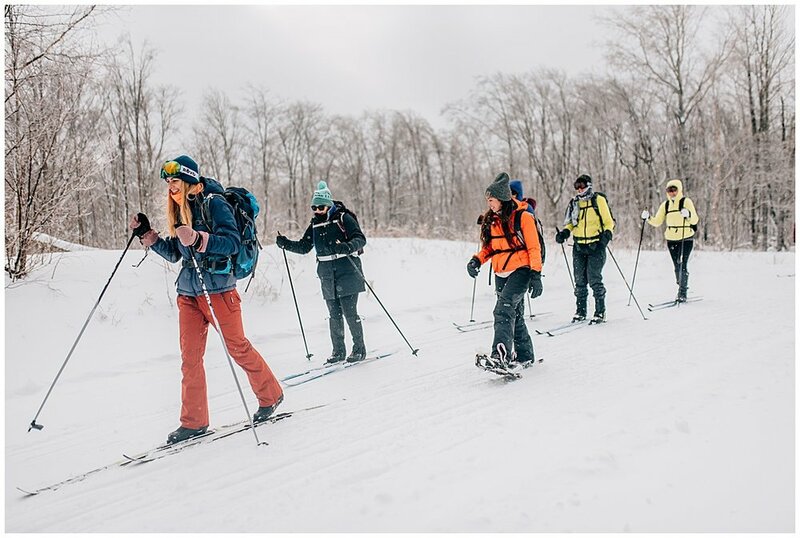 Following 48 hours of snowfall, we hit the trails on cross-country skis and snowshoes to embark on a 22-mile trek with 17 women, each of whom fueled our fire for three days straight. At the trailhead, we were met by a familiar face, Sarah Whitling, who had been hiking with AWC for years, was now a caretaker at the AMC lodge we were about to hike to! Day one was a hilly 7 miles to Little Lyford Lodge where we warmed up and got acquainted. 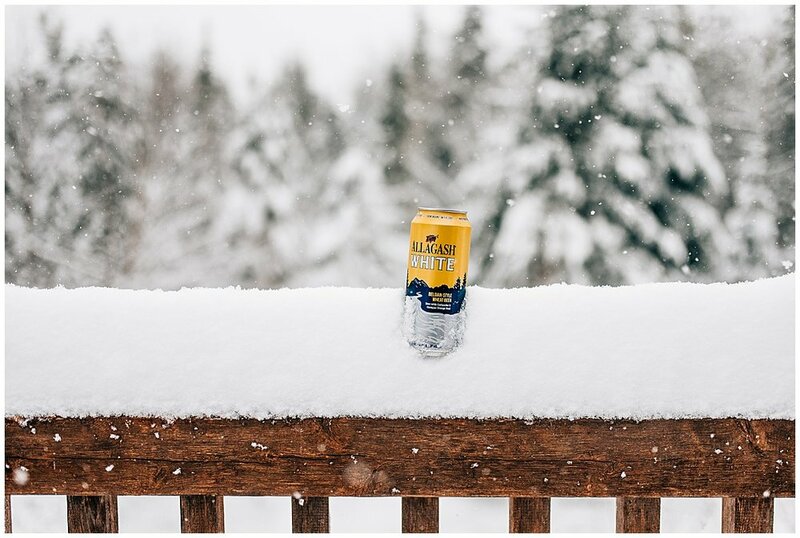 Miles away from cell phone reception, we pulled out card games and puzzles, and laughed around dinner while cracking into pre-release cans of the infamous Allagash White beer. Giggles and stories lingered around the bonfire well past dark. 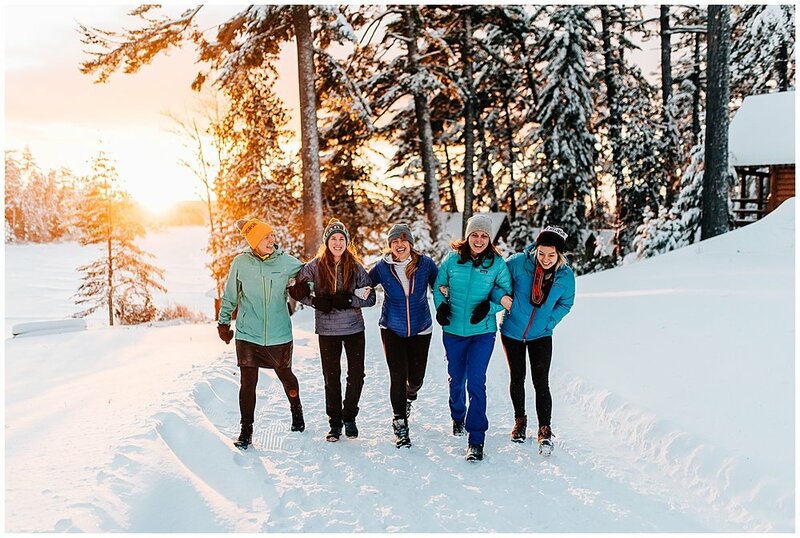 The next morning we packed up and layered heavily for negative windchill temps, and embarked on another beautiful, snowy hike through the 100-Mile Wilderness to the Gorman Chairback Lodge, a very special place that the Alpine Women Collective has seen once before. Night two was filled with even more laughter, stories, and this time: solidified friendships. We all shared a huge meal and celebrated each other. We made future plans, exchanged phone numbers, took tons of photos, told stories and laughed at day-old inside jokes. It’s safe to say we shared an experience none of us will soon forget. Day three meant gearing up for one last frigid but beautiful trip back to our cars. It was our longest distance of the three legs of the trip, but it somehow felt the shortest. We heard “I don’t want to leave's” and “let’s just stay here one more night!” the whole way until we were group-hugging in the parking lot, thanking each other for such a fun time. Trips like these leave us feeling so incredibly inspired and supported, and we can’t thank enough the people who facilitate our kind of collective. 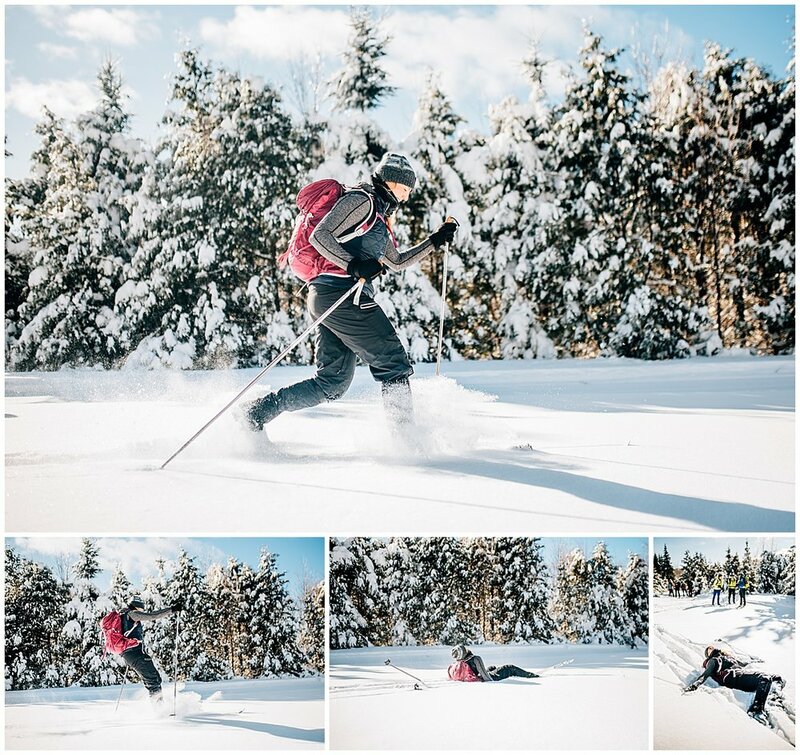 We thank Allagash Brewing Co., and especially Mat Trogner, who sets this wonderful adventure into motion, who helps us share our message, and makes possible memories like these. Summer hike up North Moat Mountain. A rainy hike of Mount Lafayette! 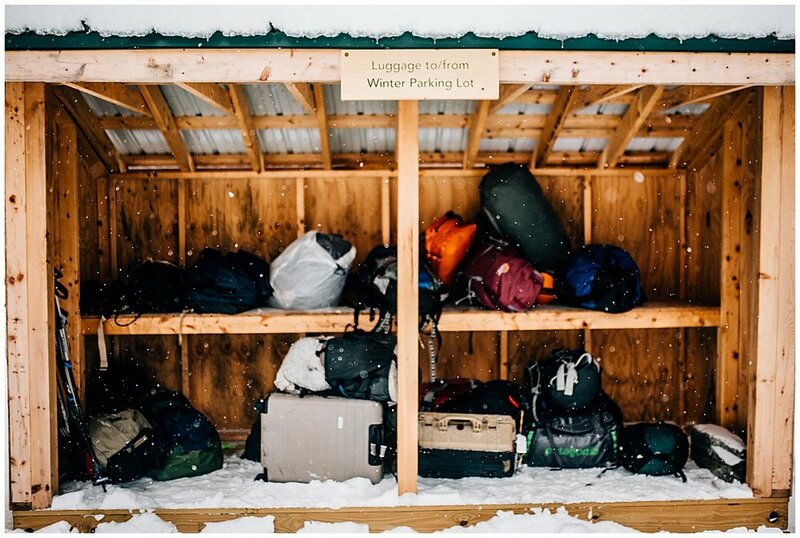 Our most recent adventure was a smile-filled 3-day camping and hiking trip planned and sponsored by The Maine Highlands. 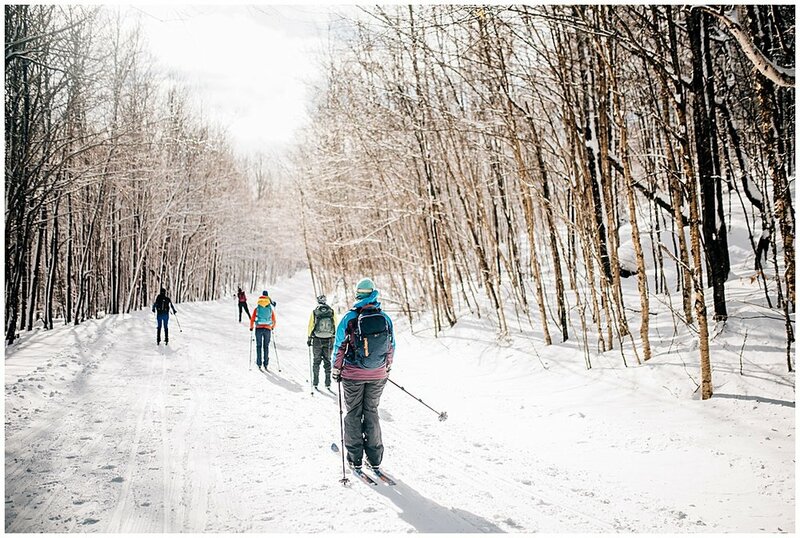 Alpine Women Collective and Northeast Mountaineering hike to Doublehead Mountain. The Alpine Women Collective's second hike of the weekend was our beloved Mt. Willard.